Nixon Motor Sports: NMS Combines North and South! North, and South. Shake, and Bake. Our Nixon Motor Sports teams of both the North and South flavors will combine forces on Sunday October 18th in Virginia Beach and be driving at the same event for just the second time this year. At the Tidewater Sports Car Club's TSCC LINK auto-cross event, Brian will be driving the Ford Fiesta ST in the H Street class, while Robert will be wheeling the FIAT Abarth in G Street. You can read more about this particular event, and SIGN UP yourself at this link: Motorsports Registration LINK. In what could be the biggest news since the end of the Civil War, both NMS drivers will be driving at the area's favorite auto-cross location, on board (as they say in the Navy) Joint Expeditionary Base Little Creek-Fort Story, either JEBLCFS or just "Little Creek". Drivers and spectators that are not military must sign up in advance to be added to the access roster to the military base. Good guys wear white hats...or black. Or helmets. 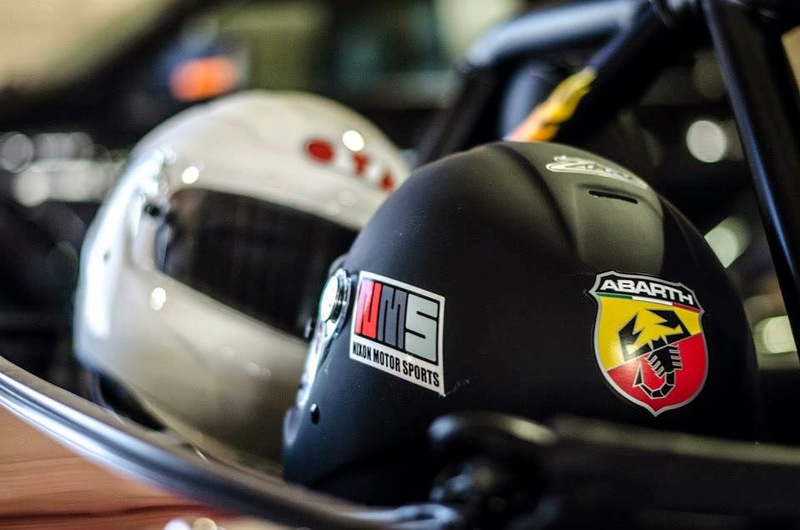 The last time we both drove at Little Creek this summer, the NMS Miata had an unfortunate incident that left the motor terminally wounded, so we anticipate that the Fiesta and Abarth will not suffer the same fate. With both cars in closely rated classes (it doesn't get any closer than G and H, unless you use some language/alphabet that I don't know about), this could be the 2015 duel of the century for bragging rights for NMS that will determine "Driver of the Year", or "Fastest Draw in the East", or just plain old "I Beat You on the Same Day on the Same Course so You Owe Me A Beer".